Forget the three quarter length blazers - because let's be honest, they were probably the every day womens blazer anyway. I'm excited about these four blazers. Some without collars, others with a little texture. Finally, some options! This week's TT is from TopShop and Long Tall Sally. 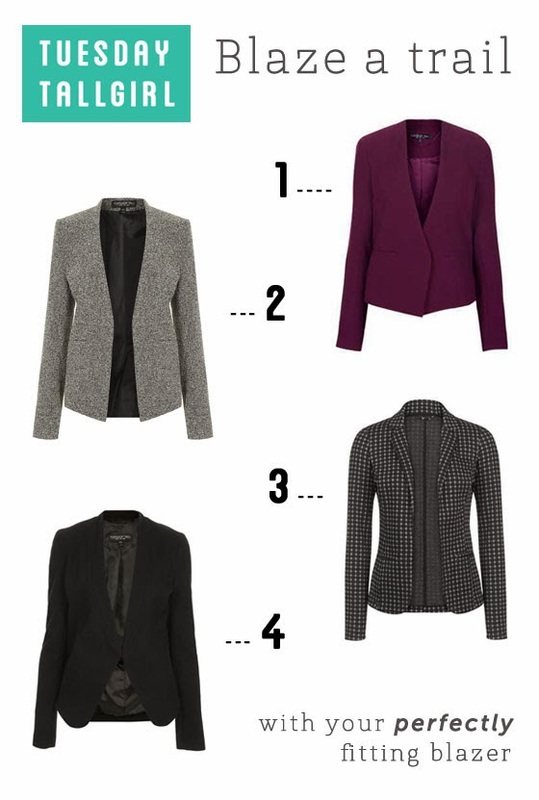 1, 2 & 4 via Topshop Tall and 3 Long Tall Sally.